Percussion Case. Origin Country: Pakistan. 2 lbs. Made by Mid-East. 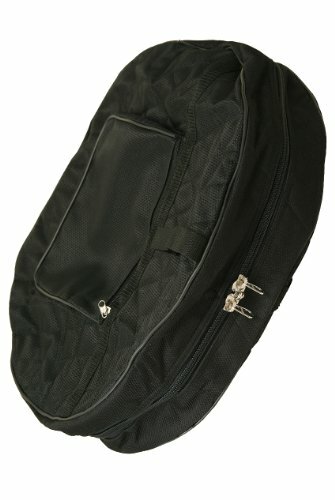 Quilted nylon case with zipper closure and carrying handle, for storage and transport. Fits 18" x 3.5" and 18" x 5" inside tunable, and tacked, bodhrans.